Thistle Express located in Luton, just 2.7 miles from Luton airport, offers a new and exciting contemporary, spacious lobby perfect for enjoying unlimited tea and coffee. 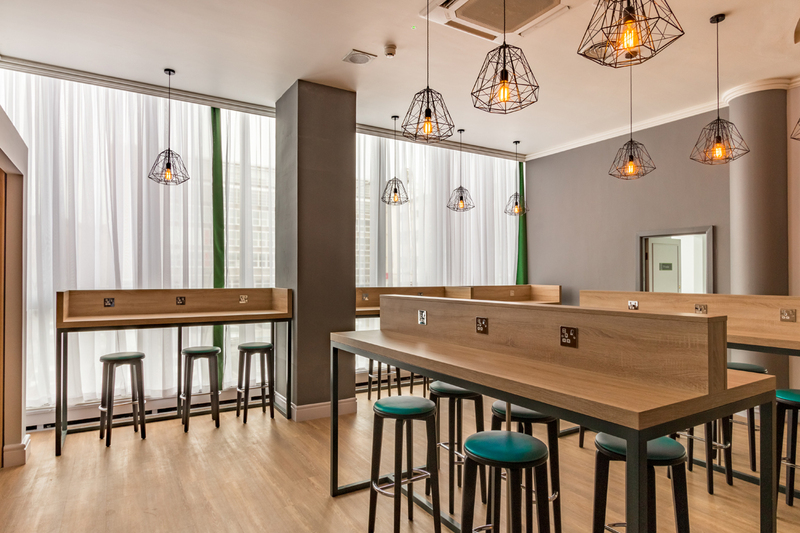 Nova Interiors brought the vision of Faber to life by manufacturing fully upholstered chairs, solid beech frame stools, oak laminate table tops juxtaposed with steel table bases to create an exciting space and refresh the public areas in the Thistle Express Hotel located in Luton. The interior lighting reflects off the EGGER natural Bardolino oak table tops and saturates the room with energy. 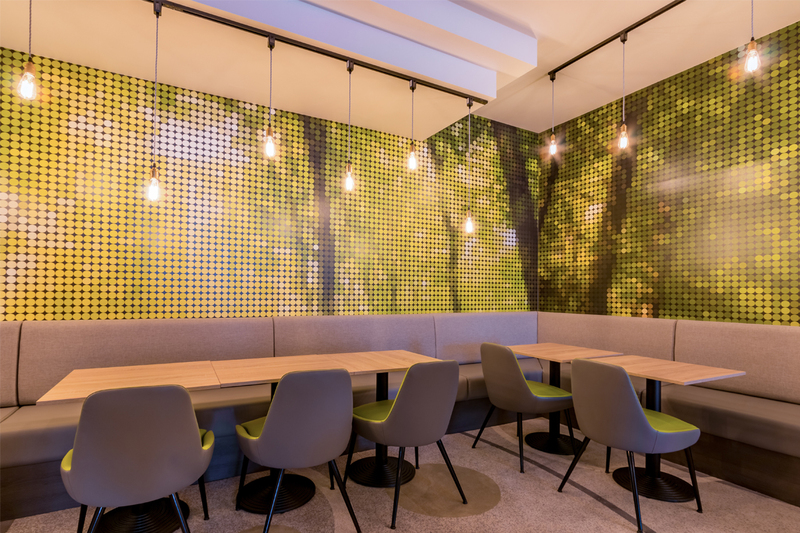 The glow chairs feature contrasting outback and inback upholstery to compliment the surrounding colour scheme.